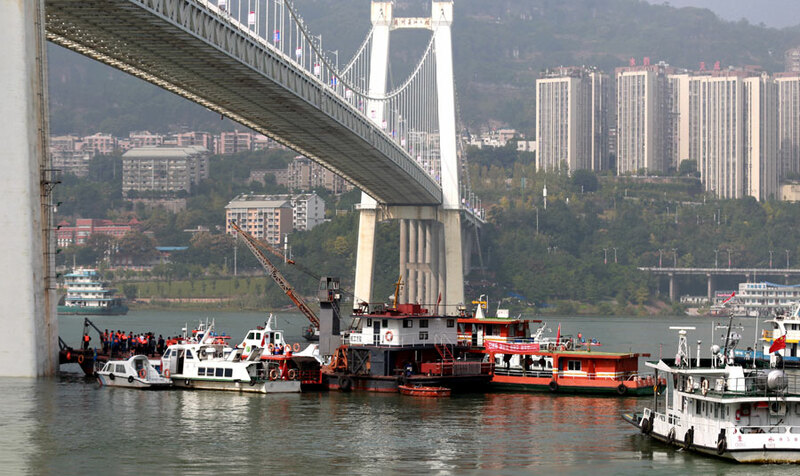 At least two people died after a bus collided with an oncoming car on a Chongqing bridge and plunged into the Yangtze River on Sunday morning. Based on inquires and footage from surveillance cameras along the route, it was estimated that the bus was carrying more than 10 passengers at the time of the crash, local authorities said in a statement. Two bodies had been recovered from the water as of press time. An initial investigation found that the bus abruptly swerved while on the Second Yangtze River Bridge in Chongqing's Wanzhou district, crossing the center of the road into oncoming traffic and slamming into a red sedan. The bus then broke through the guardrail and plunged into the river. The driver of the car, identified as Kuang, was taken to the hospital with soft tissue injuries. The bus driver, surnamed Ran, is among the missing, the police said. 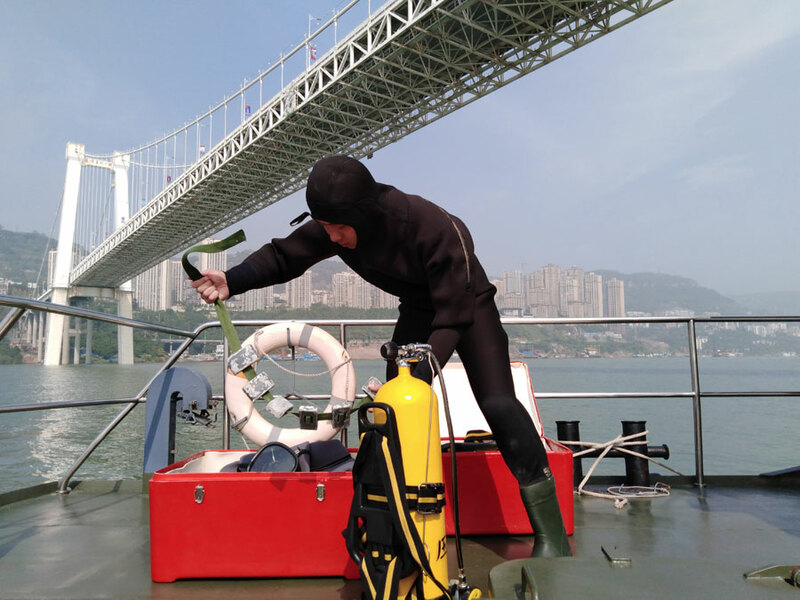 A rescue worker at the site said that the bridge stands more than 50 meters above the water and that the bus had sunk 68 meters below the surface. Firefighters, public security officials and police officers were working on a plan to recover the bus. The Ministry of Emergency Management dispatched 11 professional divers, a medical worker capable of deep diving and a salvage boat to assist in the rescue operation. The four-lane Second Yangtze River Bridge opened to traffic in June 2003. It carries a daily average of more than 60,000 vehicles and over 200,000 commuters, according to the Wanzhou government.